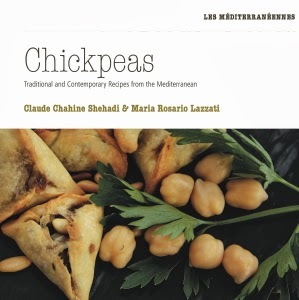 Claude and Maria are two adventurous cooks, from Italy and Lebanon who explore each other’s culinary customs. They believe that food represents identity and tradition; each dish tells a story and each preparation has a history. 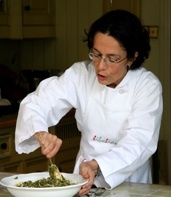 In 2007, Claude and Maria started the Libaliano cooking classes. In 2001, I co-edited Appunti di cucina italiana/Notes from the Italian Kitchen, a book of over 100 Italian recipes collected from Italian expats, members of the London-based charity Il Circolo. 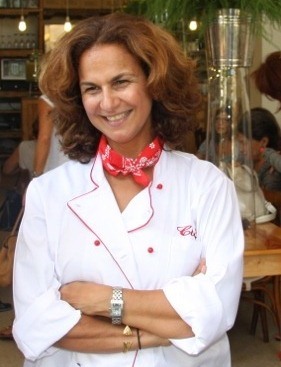 In 2012, I published La cucina del buon gusto (Feltrinelli), co-written with the Italian writer Simonetta Angelo Hornby and 'La cucina lontano da casa' in 2015. I was not always a cook. I moved to London from Lebanon, in the late 70’s to train as a filmmaker and worked as a film editor, in the British film industry for 10 years. I always loved cooking, but my story began when I became a mum. I realised then that I had a lot of explaining to do, and what better way than with food. I cooked, and cooked, for my children, hoping to give them a taste of my roots. I did not think all those years ago, that I would stumble onto something that I loved as much as film and which was just as creative. Mostly self-taught, I love experimenting and trying different cuisines. While at the Cordon Bleu in Lima, I got a gist of Peru's vibrant gastronomy and was inspired to renew my ties with traditional Lebanese kitchen. Food never stays the same, it constantly moves and develops. 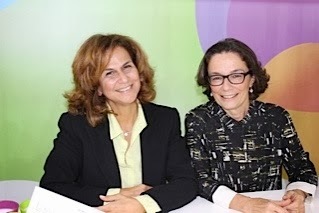 Together with Maria, I published three books on legumes. 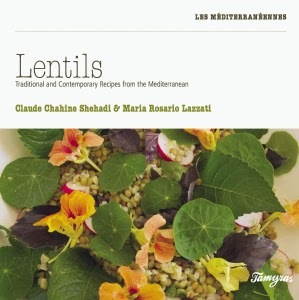 'Lentils: traditional and contemporary recipes from the Mediterranean' was published in October 2012 by Tamyras in Beirut, Lebanon; it was followed a year later by ‘Chickpeas’ 'Chickpeas' and in 2015 'Beans & Friends' Beans&Friends was the last and third volume.